Always wanted to know what it's like to be part of Team Tatty? Now is your chance! 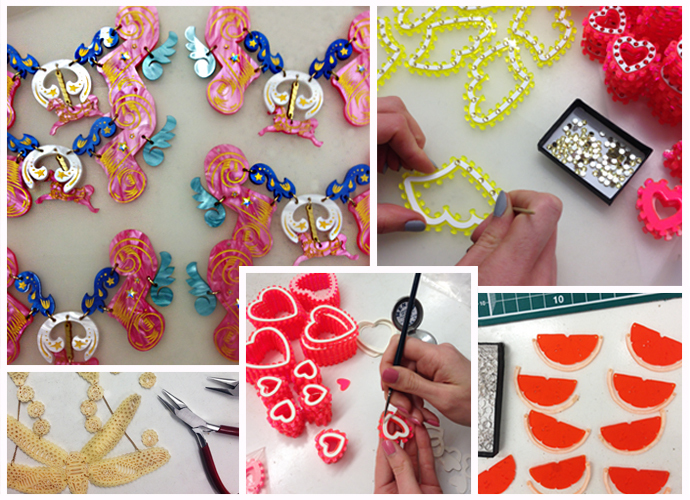 Talk us through your typical day at Tatty Devine? I work in the London workshop, which is a jewellery-making treasure trove of colourful sheets of Perspex, boxes of crystals, jars of jump rings and of course Edna the laser cutter. Every day is different, but as I'm part of the product development team a large part of what I do is make samples for new collections - it’s always exciting to find out what Harriet has dreamt up and watch each piece develop from an initial drawing through to a final piece. When I am not working on sampling, I make jewellery and do quality control, checking every piece that has been made to ensure it is perfect! I think the best thing is that every day is different – one day I could be covered in fluff, gluing marabou feathers to the heads of polka dot Kit Neale monsters and the next day making a giant two metre Dinosaur Necklace to be displayed in one of our shops… You never know what jewellery make may be round the corner! The first Tatty Devine piece I saw was the Dinosaur Necklace, about 10 years ago. I loved it – I just remember thinking it was so fun and wanting to find out more about the brand. When I was 16 and had my first Saturday job in a shoe shop I bought my first Tatty Devine piece, which was a mirror gold Name Necklace - I wore it every day for years! How did you get your job at Tatty? Following my Textiles Surface Design degree I completed several internships, one of which was a month learning to make jewellery at Tatty Devine. I must have done something right as to my surprise a little while later I was offered a job, so I moved down to London, initially temporarily, but it is now 3 years later I’m still here! Away from work, what are your hobbies and interests? 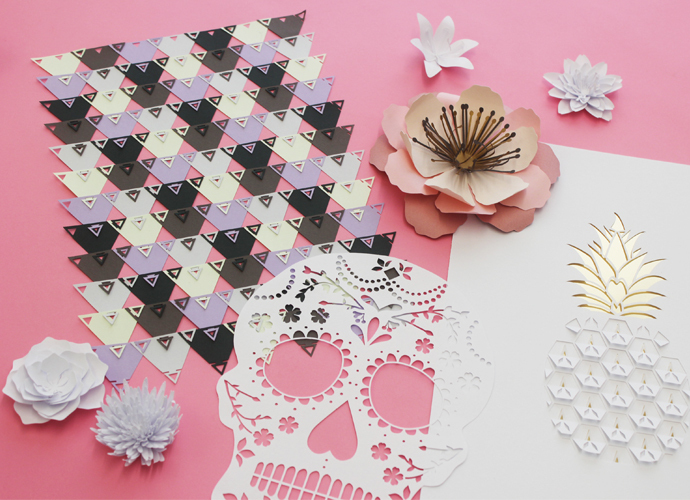 I have always loved papercraft, and have a little online shop selling papercuts, as well as creating custom paper goodies for weddings and events, which is fun and keeps me busy! I also enjoy sewing and love making cushions, the occasional item of clothing. I'm also trying to make the most of living in London and explore more - it is all too easy to forget that I have so much on my doorstep and I am trying to make an effort to enjoy it. I take inspiration from everything I see! I spot bits of pattern and colour inspiration everywhere, in nature, architecture and everything in between. I also love a good browse on Pinterest or my favourite blog A Beautiful Mess, and love to visit museums and galleries (especially the gift shops!). At the weekend I went to the Alexander McQueen exhibition at the V&A which was amazing. I don’t tend to follow trends, my style is quite minimal and comfortable, with a mixture of prints, textures, a lot of black and grey and the occasional flash of colour. I love to add a bit of fun with a good polka dot, stripe, fun print or pom pom knit, mixed with classic pieces and normally finished off with a Tatty Devine brooch. Do you have any fun Tatty anecdotes? Once participated in an Easter bonnet parade at the Sanderson hotel where Becki, my Production Manager, and I walked the catwalk joined together wearing a double-yolked egg hat which Harriet had created from white leather and vacuum-formed yellow plastic, which was lots of fun! Which artists do you currently have on repeat? Years and Years! I can’t get enough of them, their songs are so fun, catchy and just make me want to dance, their cover of ‘Breathe’ is amazing, and the singer Olly is so sweet! What TD piece is your favourite from the new collections? 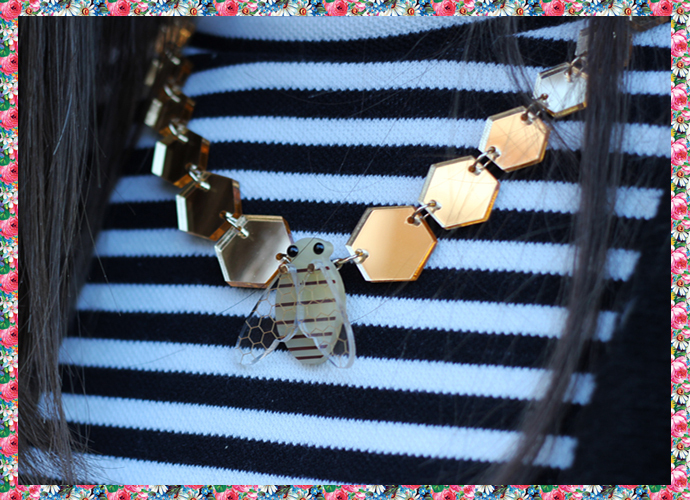 My favourite piece is the Honey Bee Geometric Necklace, I love it! The bee is so cute, and I love all things geometric. I love the Midsummer Blooms pieces too, it’s so summery and fun. 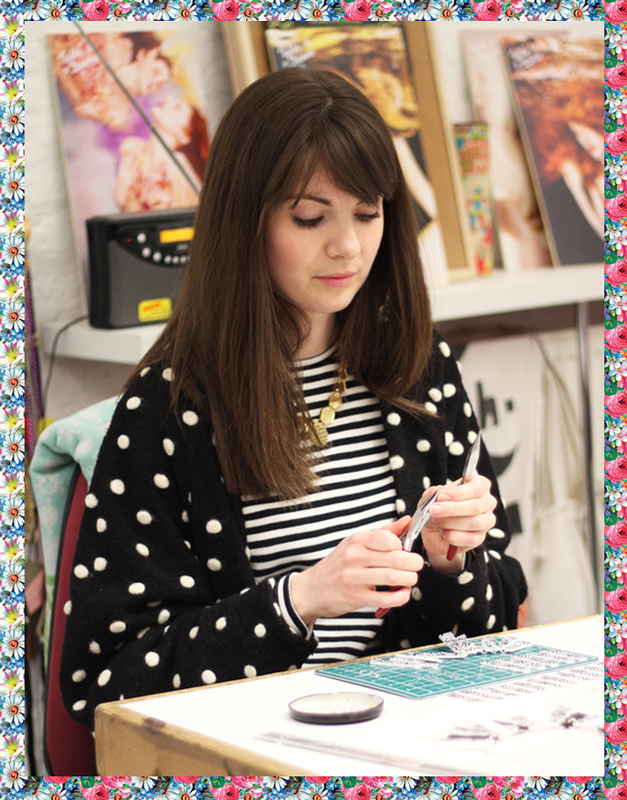 What Tatty Devine pieces have you been making recently? At the moment we are working on a few pieces from SS15 Contemporary, along with samples for AW15, which is exciting. There are some treats in store - watch this space! And there you have it! 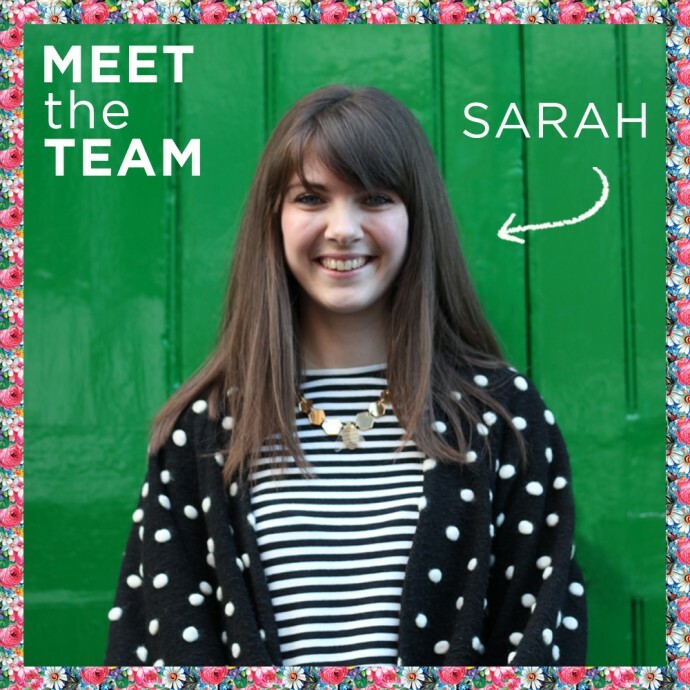 Stay tuned as next month we'll be chatting to another member of Team Tatty.